The Poison Ivy plant family, Anacardiaceae, is well known to those who spend time outdoors. Poison Ivy (Toxicodendron radicans) is one of the most notorious weeds of the wild, feared by campers and other outdoorsy folk because of the nasty rash it can produce with contact. While poison ivy is largely reviled, Anacardiaceae yields enormous benefits for humanity. The family, often known as the Cashew Family, also produces several well-known edibles like Cashews, Mangos, and Pistachios. Moreover, poison ivy itself has a number of medicinal uses. Smooth Sumac is Rhus glabra. The genus name is Rhus, which is capitalized. The species name is glabra, which means smooth. This is an example of the scientific name and a common name having the same meaning. Of course, common names are highly variable. Rhus glabra, for instance, which was known as an edible to many Native tribes, has many names in various languages. The Kiowa name refers to “smoking mixture” (similar, I assume, to the well-known name “Kinnickinnick” that is used for both a mixture of herbs for smoking and to name specific ingredients. ), “Maw-kho-la”. 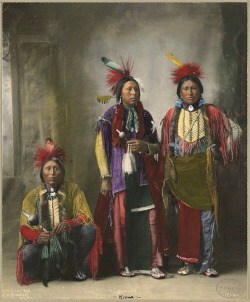 “Chan-zi” (“Yellow Wood”) is used by Dakota, Omaha, and Ponca, while the Pawnee say “Nuppikt”, meaning “Sour Top”. (2) Because common names are so variable their use in literature is often followed by the scientific name, which is italicised. A genus is a group of species. Rhus is a collective of species mostly known as Sumacs. Toxicodendron includes Poison Ivy and related species. There has been significant discussion of Toxicodendron related to the differentiation of Poison Ivy species, including that Poison Oaks (usually Toxicodendron pubescens in the east and Toxicodendron diversilobum in the west) are variations rather than a distinct species. Poison Sumac (Toxicodendron vernix (notice not Rhus)) is quite distinct. Usually when species of a common genus are listed or written about the genus is abbreviated with an initial after the first mention. So, if we were to list the species of Toxicodendron in North America, rather than write out the genus name each time as in the previous paragraph we would list them as: Toxicodendron diversilobum, T. pubescens, T. radicans, T. rydbergii, T. succedaneum, T. vernicifluum, and T. vernix. If several species of a genus are lumped together for discussion, “spp.” might be used for plural tense, as in Toxicodendron spp. If the species name is unknown in reference to one plant (singular tense), “sp.” is used. Although Poison Ivy and its relatives have distinct medicinal uses, the genus should be regarded as poisonous and not consumed nor even contacted. Most people will react to Poison Ivy if they come in contact with the plant’s oils (which often is not the case by merely brushing up against the leaf). Some people lose sensitivity to the plant through desensitising protocols that use gradual contact. Some methods include eating the plant, though this is often strongly encouraged as a dangerous practice. Usually to desensitise the young buds and leaves are consumed. 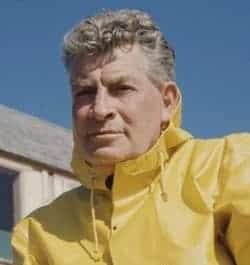 One man who attended a plant walk I was leading insisted that the trick was “white bread and mayonnaise sandwiches” per the Appalachia tradition he knew of through his uncle and others. It is also important to keep in mind that people who have never reacted to Poison Ivy can suddenly react with the typical red, itchy, and blistering rash. Such a change is often the result of a potent exposure. Be careful cutting firewood that has Poison Ivy growing on it. Or even that had, as the toxic properties are quite persistent in dried plant material. It is also important to know that one can be poisoned through the smoke of burning Poison Ivy. Also take care when digging near Poison Ivy to avoid getting juice from the roots on your skin. By far the most impressive Poison Ivy rash remedy in my experience is Jewelweed (Impatiens spp. ), or Touch-me-not. It is best when fresh. The plant can be crushed and rubbed onto the affected parts. 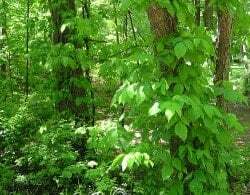 If timely, such use of the plant’s juice can stop a Poison Ivy reaction with one application. The Iroquois (who believed the rash was sure to occur if one jumped when they touched Poison Ivy) used Jewelweed. 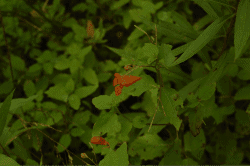 I have met countless people who depend on Jewelweed. As a child I got a pretty bad Poison Ivy rash pretty regularly. Fortunately, I learned to recognize the plant in order to avoid it and learned to apply Jewelweed if I did contact it or begin to experience the itching, redness, or blistering of the rash. Although I occasionally get a small skin reaction, it has been many years since I have experienced a severe Poison Ivy reaction. There are many other remedies, though often not as seemingly miraculous as Jewelweed. Herbs like Plantain (Plantago spp.) and Yellow Dock (Rumex spp.) are used to sooth irritated Poison Ivy rashes. Astringents, which are indicated for redness and inflammation as well as watery discharges, are used for the rash. Such herbs include Oak (Quercus spp. ), Pine (Pinus spp. ), Raspberry and Blackberry leaves (Rubus spp. ), and many others. Although mostly regarded as a toxic plant, Poison Ivy does have medicinal uses. It is especially used to “ripen” skin disorders, such as for sores and rashes. Iroquois, Delaware, Meskwaki, Potawatomi, Kiowa, and Cherokee used Poison Ivy in this way. 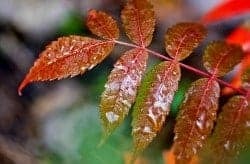 Interestingly, the Cherokee also used Poison Ivy internally used as an emetic (induces vomiting); and they used Poison Sumac (Toxicodendron vernix) to treat fevers, asthma, and other diseases. It seems that the best-known use of Sumac (Rhus) as a wild edible is to make Sumac-ade, which is so-called because its sour taste allows it to be used to make a beverage like lemonade. The berries of various species can be soaked in water and then squeezed and strained. A sweetener is then added to the liquid. I prefer maple syrup. People often worry about Poison Sumac, but it has white berries instead of the red berries of Rhus species. Poison Sumac was once classified in the genus, but is now in Toxicodendron. Plus, Poison Sumac typically grows in bogs not near species of “true” Sumacs. Technically, the fruits of Sumacs are not berries, but drupes. Drupes are fruits with a hard inner seed surrounded by the fleshy fruit. 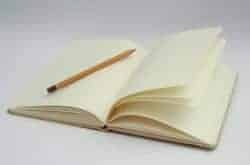 In common language, such as in the previous paragraph, Sumacs fruits and others that are not technically berries are still referred to as berries. In many cases the flesh of drupes, or stone fruits, are quite edible, like Peaches and Plums. With Sumac, however, the flesh is rather insignificant compared to the seed and we generally squeeze the juice from them rather than eating the fruits. With Staghorn Sumac (Rhus typhina) the hairs on the fruit are also quite flavorful. So, by soaking the fruit clusters in water (cold infusion) you can extract the flavor from the hairs and then crush for full flavor from the juice. The hairs should be carefully removed from the beverage because they can be quite irritating to the back of the throat. This can be accomplished by straining well or by letting the hairs settle to the bottom of the vessel before carefully pouring the clarified liquid off. It can then be heated in order to mix in the sweetener. However, if it is heated with the plant material still in the liquid you will extract more of the astringent properties. Much of the medicinal use of Sumac is from these astringents, but it will be particularly drying because of the astringents and the sour flavor of the fruits will be tainted with the bitterness of the astringents. If the fruit clusters are picked before they are ripe (although they may be quite red and appear ripe), they will be too astringent to make Sumac-ade. The taste is so water soluble that you can collect drops of red rain water with your finger from drupe clusters that is pleasantly sour. If collected too late the sourness will be faded and washed from the fruits. With a little practice, you will learn just when to harvest for Sumac-ade. And you will become familiar with the medicinally important astringency of Sumac. Astringents are used for rashes, diarrhea, and other damp, inflamed conditions requiring a cooling, drying remedy that restores tissue tone. Young shoots of Sumac species can be peeled to reveal a tender core that serves as a delicious raw or cooked vegetable. Though seasonal, this is an important vegetable. It can be eaten raw, which is not true of many wild edibles. Plus, it might be found in abundant populations in the wild. Like the fruits, the “shoots” can be astringent if not harvested at the right time. Learn to recognize the more tender edible portions. Euell Gibbons, in his classic book Stalking the Wild Asparagus discussed using Sumac-ade to make Elderberry (Sambucus) jelly. (5) The fruits are a well-known culinary spice in the Middle East. “Wildman” Steve Brill gives a recipe for a Sumac Hollandaise sauce (7). Another important trait of Sumac is that the wood is relatively soft and has a low moisture content, which enables it to be burned green. Because of its size, it is often easy to cut firewood size pieces. Sumac also has a central pith, which allows branches to be hollowed out easily. The bark and wood can be used to make baskets. A beekeeper friend of mine uses the hairy Staghorn Sumac fruits to smoke her bees to sedate them while working in the hives. In this way, like punk, the smoke can be used as an insect repellant. Stinkbush Sumac (Rhus trilobata) leaves can rubbed on the skin as an insect repellant, as done by the Hualapai. It is clear that the survivalist has much to learn about Anacardiaceae, the Poison Ivy family. From knowing how to avoid Poison Ivy and its relatives that can cause a terribly itchy, blistering rash… to knowing that even with these poisons are obscure medicinal benefits. Maybe forgotten by the modern man, but there is a reason Native people knew the plants so well and how to use them. 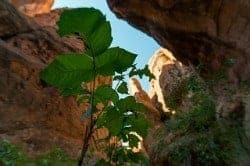 The survivalist can enjoy many benefits by becoming familiar with Sumac species, from vegetables and beverages, many craft applications, fire-starting potential, to medicinal uses. These plants are within reach for the prepper, because of their size and their common occurrence.